Here’s what’s happening in the world of television for Thursday, November 29. All times are Eastern. During a break from the awe, suspense, and action of Jurassic Park, Steven Spielberg’s camera pans across shelves of theme park merchandise with a combination of sardonic amusement and score-twinkling love. (This was Spielberg, after all.) Though the shot was much-mentioned 25 years ago when the movie was first released, it’s nonetheless striking today how loaded that moment feels now that Jurassic Park is an ongoing series, not a one-off event. Whether always intentionally or not, that series is now about both the foolishness and undeniable allure of spending untold millions (“spare no expense!”) to not leave well enough alone. And speaking of not leaving well enough alone, here’s LEGO Jurassic World: The Secret Exhibit! 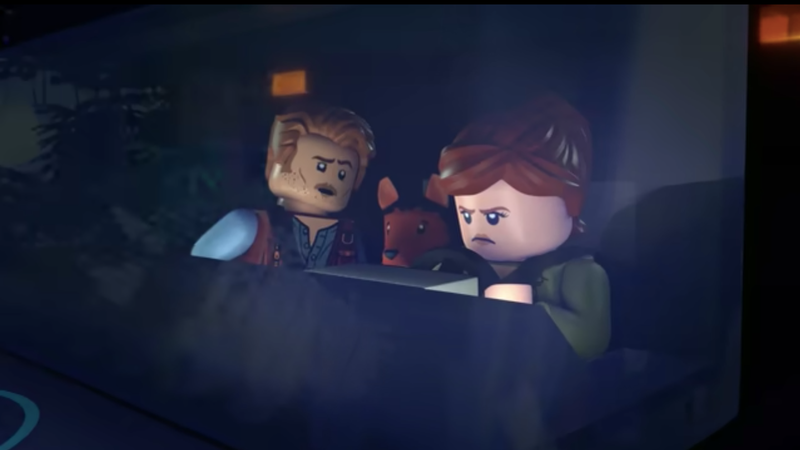 Tucked tidily somewhere between Jurassic Park III and the first Jurassic World, this prequel shows us Claire Dearing and Owen Grady scrambling to track down some missing dinosaurs so they can prepare “Jurassic World’s new super-secret dinosaur exhibit” in time for a fast-approaching opening. Sure. Whatever you say, Jurassic World-world. Dolly & Friends: Making Of A Soundtrack (CMT, 9 p.m.): Come to think of it, we’d also like to hear Dolly Parton’s take on “5,000 Candles In The Wind.” That won’t happen in Dolly & Friends, but that’s no reason not to dream big! A Mouse Rat classic might not be on Dolly’s set list, but this special—which chronicles the making of the soundtrack for Dumplin’, arriving on Netflix next week—will feature new songs and reimagined classics from Parton, Linda Perry of 4 Non Blondes, and a stacked roster of guests. Among them: Macy Gray, Sia, Mavis Staples, and Alison Krauss, to name a few. That’s cool and all, but it’s Dolly Parton. You really don’t need to oversell it. Say “Dolly,” we’re interested. Is the new Jurassic Park movie dumb fun or just dumb?